Since 1995, Harun had multidisciplinary experiences from various different server management to software architecture, coding form zero to deploying to production environment. Design, develop, continues delivery and continues integration are part of his daily job. Along with that, Big Data, NoSQL, caching, performance gains are his main concerns and he says he is passionate about simplifying and automating everyones daily job. 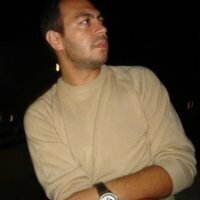 Harun currently works as Software Development Manager at eBay Turkey.